The Legal Ombudsman has announced that alternative dispute resolution methods should be used more widely to resolve arguments between clients and their lawyers. 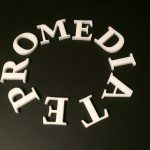 Currently lawyers have to signpost to the Legal Ombudsman and also to a certified ADR entity like ProMediate, although they are not obliged to use ADR. The Legal Ombudsman has announced that it “will be reviewing our options later this year” in relation to ADR”. In a consultation/strategy paper, which closes on 4 April, it said that this year it would reconsider its application to become an official approved entity under the Alternative Dispute Resolution for Consumer Disputes (Competent Authorities and Information) Regulations. The ombudsman’s office postponed its application in 2015. Becoming an ADR entity would involve shortening complaint resolution times and changing the scheme rules. 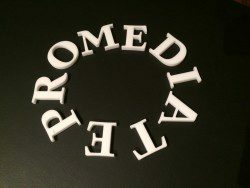 Becoming an an approved ADR entity like ProMediate does not sit well with the Legal Ombudsman’s current jurisdiction. The Chancellor has also announced that claims management companies will be regulated by the FCA so complaints should be dealt with by the Financial Ombudsman. We agree though that mediation is ideal for resolving disputes between lawyers and clients and the Legal Ombudsman is going along the right lines if it introduces this as proposed.